For a beautiful and healthy lawn we recommend a year round treatment. It is applied in a 6 step program. 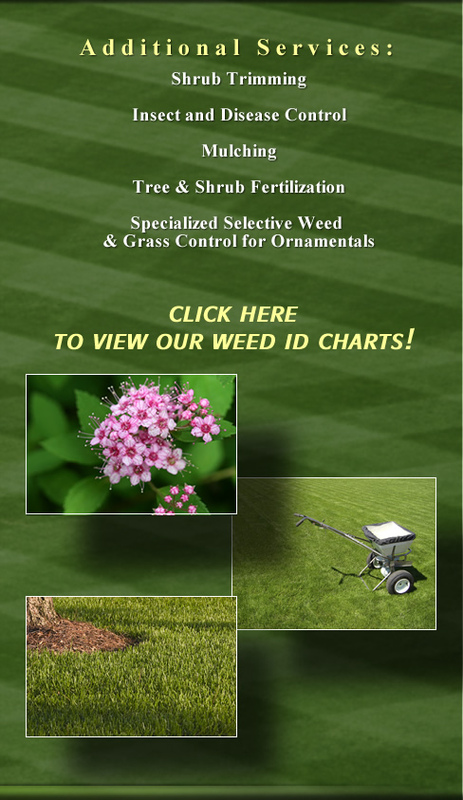 We tailor each application to what your yard needs in each given season. Our lawn maintenance program consists of mowing, edging, & blowing surrounding surfaces. We offer our lawn maintenance services weekly, bi-weekly. Please call today for a price quote on your lawn’s maintenance. Seeding and aeration are affordable options in thickening your lawn and creating healthy root systems. We can help you decide which planting season is best for your lawn. ProLawn also offers Landscape consulting. We work with a professional designer who has a thorough knowledge of plants and all aspects of design. Please note there is a fee associated with all Landscape consultations.